Rabbi of Narbonne, where he lived in the first half of the thirteenth century. He was a brother of Reuben ben Ḥayyim, the pupil of Isaac ha-Kohen of Narbonne, and the teacher of Menahem Meïri. Abraham left his native place about 1240 and settled at Villefranche-de-Confluent, a small town in Roussillon, where his son, the philosopher Levi ben Abraham, author of "Liwyat Ḥen," was born. The son took an active part in the religious discussions that lasted from 1303 to 1306. In the introduction to his work, "Bet ha-Beḥirah," Menahem Meiri refers to Abraham ben Ḥayyim in the highest terms, and names him among the most famous rabbis of Narbonne ("Rabbins Français," p. 543). Grätz ("Gesch. d. Juden," vi. 466) confounds him with Abraham ben Ḥayyim of Béziers, to whom Abraham ibn Ezra, while in that city in 1155, dedicated his "Sefer ha-Shem." 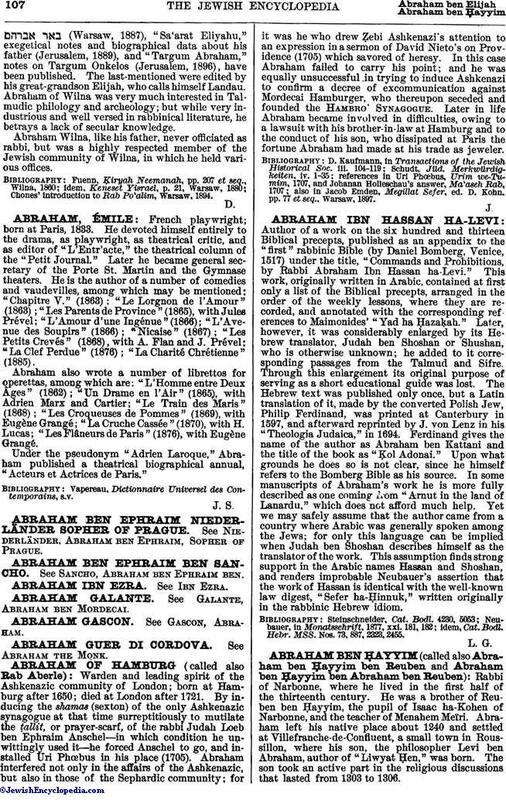 He is, rather, to be identified with the poet Abraham ben Ḥayyim, the author of the four liturgical compositions (ḳerobot) embodied in the ritual used in the city of Carpentras, France, and which were recited on Sabbath Parah in the ancient Comtat-Venaissin. 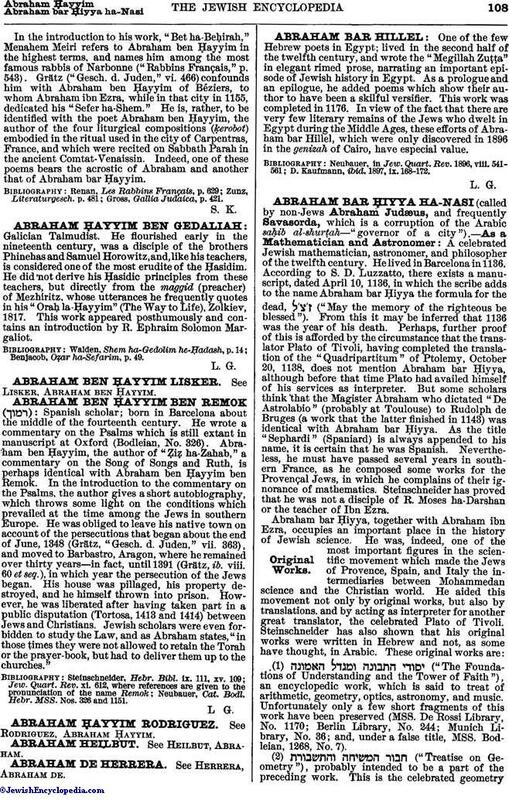 Indeed, one of these poems bears the acrostic of Abraham and another that of Abraham bar Ḥayyim. Gross, Gallia Judaica, p. 421.